Saint Tirugnanasambandar has praised the Lord in his Thevaram hymns. The tower is clothed by the clouds, Mayendirapalli has many palaces, tanks with blossoming Lotus flowers where the Lord is on His bull vehicle. Let us all prostrate on His feet. 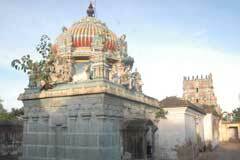 This is the sixth temple on the northern bank of Cauvery River praised in Thevaram hymns. Maha Shivrathri in February-March, Margazhi Tiruvadhirai in December-January. Panguni Uthiram in February-March and Tirukarthikai in November-December are the festivals celebrated in the temple. The rays of Sun fall on the Lord in the month of Panguni, March-April. Generally Lord Vishnu is called Azhagar-handsome, as He is fond of dressing. 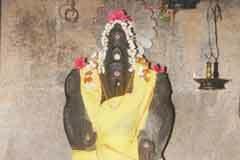 Lord Shiva in Mahendrapalli is celebrated as handsome-Azhagar. The temple is open from 9.00 a.m. to 12.00 a.m. and 6.00 p.m. to 7.30 p.m.
Sri Tirumeni Azhagar Temple, Mahendirapalli – 609 101, Nagapattinam district. Sri Chandikeswara graces with his consort in the prakara. 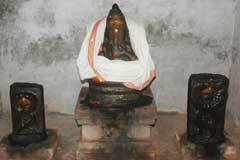 There is a separate shrine for Lord Sri Vinayaka with Ragu and Ketu on both sides. Lord Muruga graces from His shrine with His consorts Valli and Deivanai. There are shrines of Sri Kasiviswanatha – Mother Visalakshi, Meenakshi Sundareswarar, Bhairavar and Saneeswarar-Saturn, Sun and Moon. There is no shrine for Navagrahas- 9 planets in the temple. Those suffering from the evil results of past birth (poorva janma karmas), those facing adverse effects due to Sun, Moon aspects in their horoscopes have a dip in the Brahmma theertha in the temple for remedies. As the holy spring is attributed to Lord Brahmma the Creator, it is the faith of the people that Brahamma would amend the destiny of the devotee favourably. Devotees also pray for relief from snake aspects and to gain excellence in academic pursuit. Devotees pray with white clothes to the Lord and Yellow clothes to mother for developing a cosmetic look. Handsome Shiva is praised as Tirumeni Azhagar and Mother as Vadivambikai for their beauty. 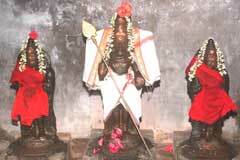 Saint Tirugnanasambandar addresses the Lord as Azhagar. 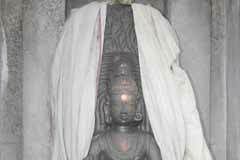 Lord Vishnu in Madurai is also called Azhagar in Tamil and Sundararajan in Sanskrit. 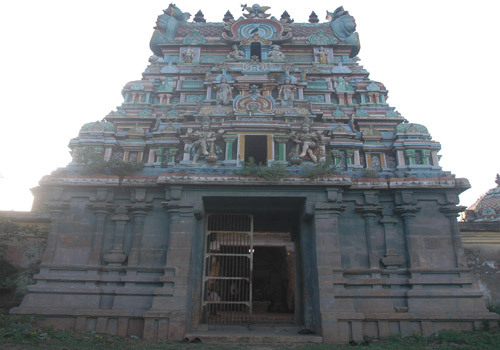 Lord Shiva is Azhagar in this temple. 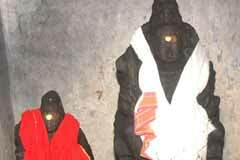 Lord Brahmma, Sun and Moon had worshipped in this temple. During the month of Panguni (March-April) the rays of Sun fall on the Lord. On the side wall of Shriva Shrine, Lord Dakshinamurthy graces. For his wrong desire on Akalika wife of Maharshi Gautama, Indira was cursed by the Rishi to have eyes throughout his body. 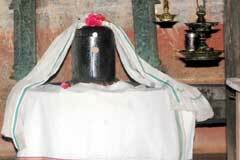 He came to Earth and prayed to Lord Shiva for relief in many places and this is one among them. 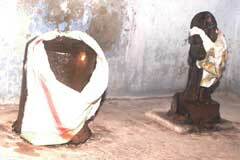 As Indira – Maha Indira worshipped here the place came to be known as Mahendirapalli. A temple was erected here later. Scientific Based The rays of Sun fall on the presiding deity in the month of Panguni – March-April. The visitor should reach Kollidam 12 km from Sirkali. 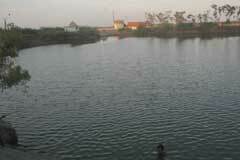 The place is 10 km from Kollidam. As bus facility from Sirkali to Kollidam is limited, it is advisable to hire a cab from Sirkali to save time.